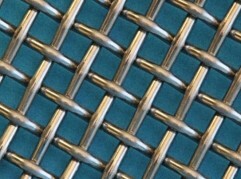 Averinox develops and provides industrial mesh supports and inlays for many applications. 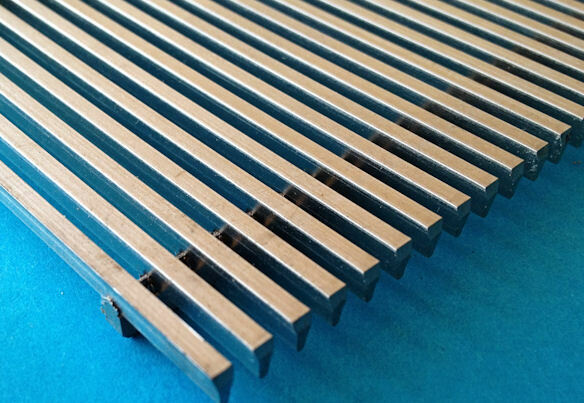 Examples can be found in reinforcement or support in composite materials: strengthen and give coherence to materials such as non-wovens, cylinder-like applications, rubber, tapes, reinforcement in refractory linings of furnaces, etc. 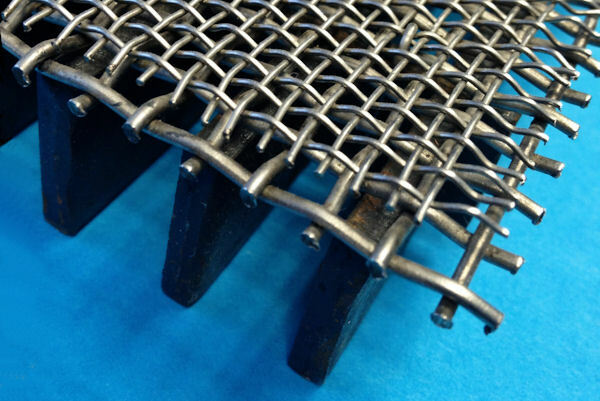 Furthermore, wire structures or nettings are used (based on on Knitted Wire Mesh and Extruded Mesh) for spacing, or the creation of a constant distance between the various components (such as filters or membranes). 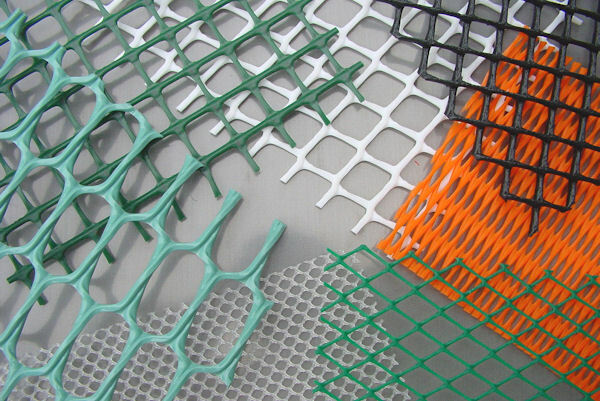 Mesh inlays can also be used as a so-called flow aids: it improves and facilitates the flow of a resin in a mold, this is applied in industries where composites are designed and manufactured. 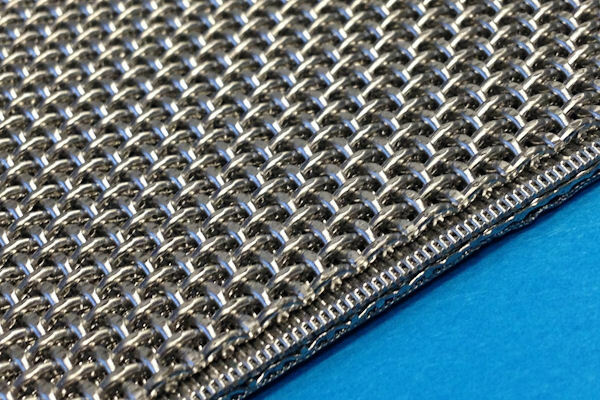 Other industrial applications (usually metallic Knittings) include: electronic EMI / RFI, (in) insulation from power, absorbing vibrations, etc. Applications are also available at protection (preventing accidents by people and body parts keeping away from machines) and signalization (defining hazardous areas or to indicate the location of cables & pipes). 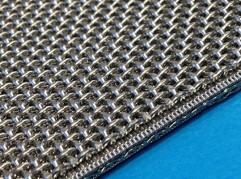 Mesh fabrics (Woven Mesh) or knitted fabrics (Knitted Mesh) are also used to reinforce sealing tapes for the (airtight) sealing of joints in pipelines. 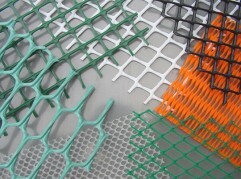 The mesh is stretchable in both directions and, therefore, a highly suitable medium for this application. 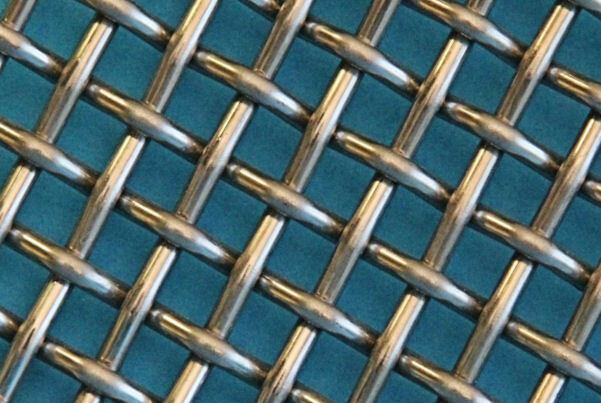 Examples are, for example caging mesh, this is mesh that is used as a support matrix with cable connections for cathodic corrosion protection. 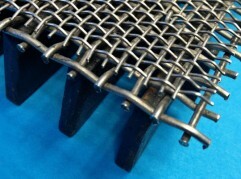 The mesh serves as a reinforcement for liquid resin. This resin is poured into a connecting sleeve. 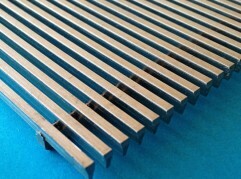 This combination results in a strong structure.